When Bonkers started out as an online skate shop focusing on European skater-owned companies in 2010, the world was a different one. The 90s hype was still a couple of years away, Leo Romero won SOTY, and skinny jeans worn with oversized all-over printed t-shirts was the goût de jour. It’s hard to believe that both Instagram and Emerica’s Stay Gold came out in 2010. At the time, StudiVZ had more users in Germany than Facebook. And there was such a thing as a Limited Skateboarding Mag. Fast forward almost a decade, here we are. Life might’ve sped up considerably, but as some clever Frenchman once said: the more things change, the more they stay the same. So have we – at least that’s what we like to think. 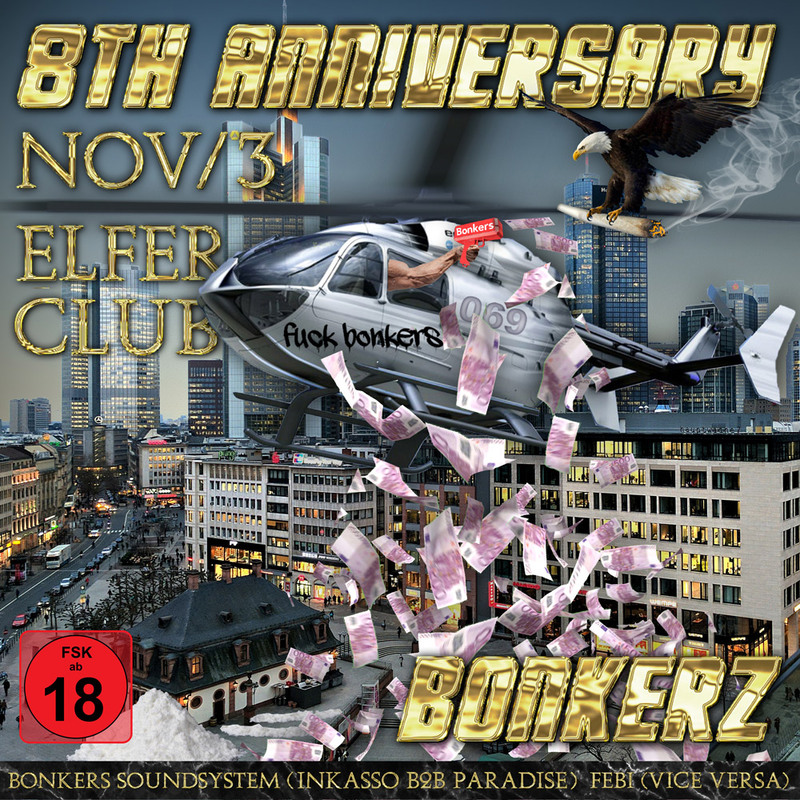 To celebrate our 8th anniversary, join us at Alt-Sachsenhausen’s Elfer Club, where we’ll party together with the Bonkers Soundsytem (Inkasso & Paradise) ‘til the break of dawn.